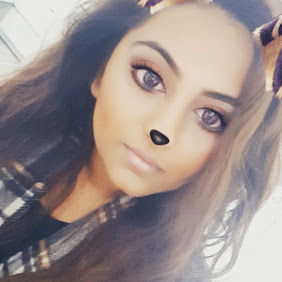 With the colder weather looking like it's going anywhere anytime soon and the impact this is having on my skin - I thought it was about time that I added a little something to refresh my general skin care routine and the Superdrug Vitamin E Spray on Moisturiser has filled the void perfectly! This nifty 360 Spray on All Over Body Lotion is super light weight and absorbs within seconds and not only makes my skin feed nourished and less dry - my skin also feels smoother and softer straight away! So...Yes I know body butters are amazing and yes they smell delicious but no part of me enjoys the process of applying a thick body butter and sitting there waving about until it dries.So I am so relieved to have found a moisturiser that not only is effective in leaving my skin feeling soft but the fact that this moisturisor dries SUPER quickly makes it tick all the boxes for me. Anyone who knows me would know I am a sucker for a new beauty gimick so a moistouriser that you can SPRAY on had me super intrigued and whilst it is pretty cool, you still need to use your hands to rub the cream into your skin. The benefit of the spray on is the fact you can say goodbye to tub body lotions getting stuck in your nails and speeds up the whole process! 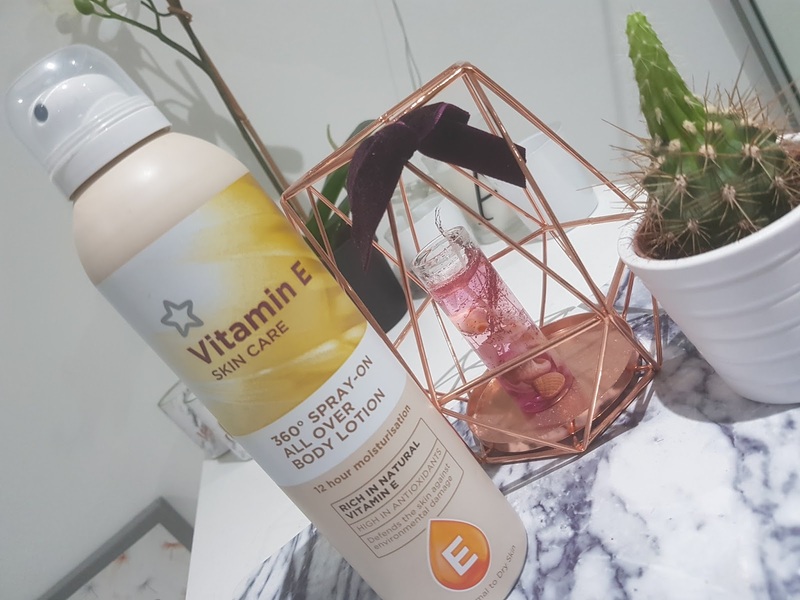 I highly recommend the whole Superdrug Vitamin E range as they really do have some affordable skin care products which have taken the place of my higher end products.